Update: The "Cash for Clunkers" program was suspended late today. As the "cash for clunkers" program kicked into high gear this week and dealers started accepting trade-ins, automakers heralded the new effort as a way to boost sales, national energy security, and the environment in one fell swoop. The program quickly tallied nearly $100 million in rebate claims, but some critics have called into question key tenets of the program. I spoke to Jessica Caldwell, an auto analyst at car rating and consulting company Edmunds.com. Here are edited excerpts of that interview. 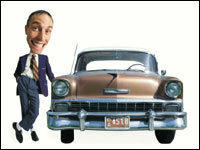 DailyFinance: So we are hearing mixed reviews of the "cash for clunkers" program. Caldwell: Yes, many people have been very disappointed. They hear the program title and they have a clunker in their driveway that's 15 years old. But it's a Honda Civic and they can't trade it in because of the stringent fuel requirements even if its emissions are significantly worse than those of newer cards. On the environmental side, you could participate in this program and not help the environment much at all. DailyFinance: How could that be? I thought this was an environmental program. Caldwell: For smaller cars it is. But for SUVs, trucks and vans, that's not really the case. True, what you buy has to have an increase in fuel economy from what you traded in. But in some cases, that increase can be minimal. Owners of large pickup trucks like a Ford F150 only have to buy a replacement that increases efficiency by one mile per gallon. And they still get a $3,500 rebate. The environmental impact is negligible and the impact on national fuel demand and consumption is very small. The only real benefit in a like-for-like swap can be improved emissions standards on newer vehicles. Rather than discourage those people, they included them in this program. DailyFinance: There has also been confusion over what you can and can't trade in. Caldwell: Yes, that's true. The Environmental Protection Agency last week quietly altered some of their miles per gallon requirements. This affected 160 models so it was a large number of vehicles. Lots of people had already done the research and thought that a week before their vehicle qualified. They went to the dealership and learned their vehicle suddenly did not qualify. There was a lot of confusion and disappointment. DailyFinance: That must have bummed out the dealers. Caldwell: Yes, it definitely did. I've gotten many calls from dealers who are confused. There was the rule change. Then it turns out that to actually execute a "cash for clunkers" transaction on the dealer end [dealers get the money directly from the government], there is a significant amount of paperwork required and complex rules to follow. The program rules are 166 pages of pure legalese. So some dealers are worried they are going to get left holding the bag after they sell a car to buyer, apply for the rebate, and then get denied. Simpler rules and processes would be very helpful. Also, the rigidity of the rules is a problem. If a buyer's registration is in her name but the title is in her husband's name, she can't get the rebate unless she goes to the DMV and changes the registration to her husband's name. Dealers are reporting that rebates are getting rejected for typos and other small errors. DailyFinance: I'd also read that you think this program could allow Japanese makers to gain market share. Caldwell: Japanese carmakers have a reputation for making more fuel efficient vehicles. In fact, American auto companies make plenty of fuel efficient cars, too. But the perception, we think, will drive people to turn to Honda or Toyota rather GM or Ford. DailyFinance: How could they improve the program? Caldwell: This begs the question of where we want to take the program. If we want this to be an environmental bill, then we'd have to abolish trading in a large truck for another large truck. But you also should be able to trade in an old vehicle and get a new vehicle because you would be improving emissions with the newer vehicle. If this was supposed to be a way to help the automakers out, it would be a simple trade in with a rebate attached and no environmental goals attached. ks. DailyFinance: Some salvage yards have complained that shredding the vehicles means they are destroying useful parts such engines and transmissions that can be resold and reused. Caldwell: That's true but the shredding part of the bill was included to ensure these vehicles would never end up on the road again and that's the only way to guarantee that this would not happen. In the German program, which was the model for the American program, vehicles ended up in North Africa. If the vehicles are going someplace else in the world that defeats the purpose.